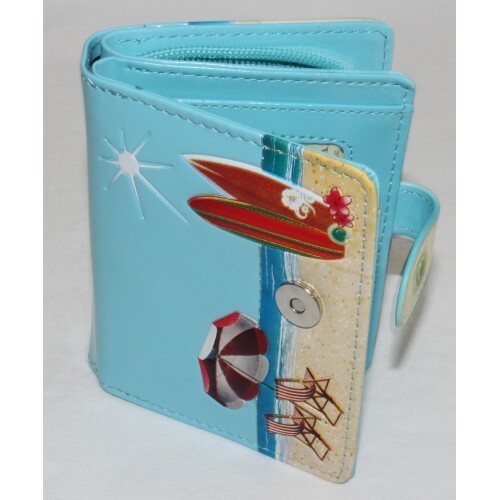 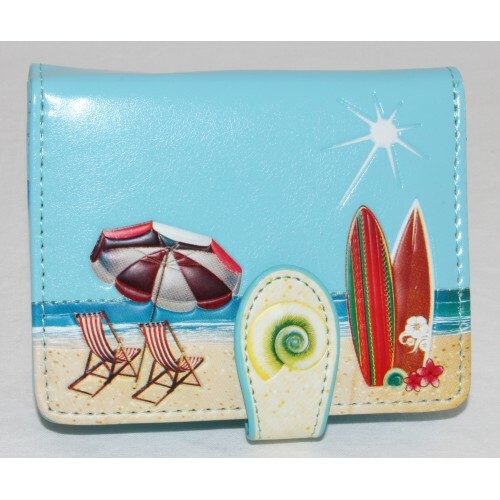 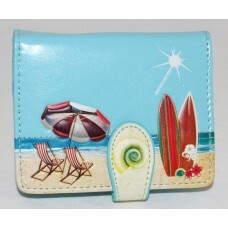 A beach scene is featured on this Shagwear ladies small wallet. 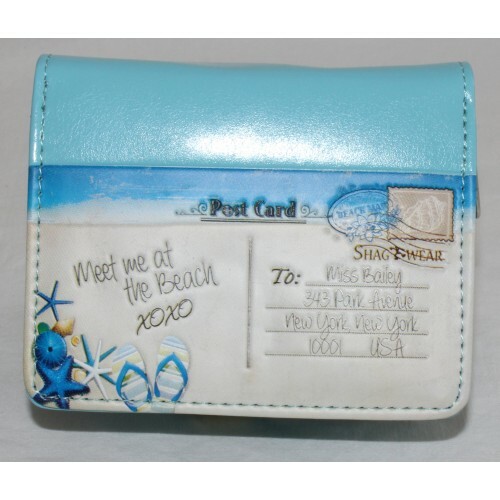 Called Beach Postcard on Sky Blue. 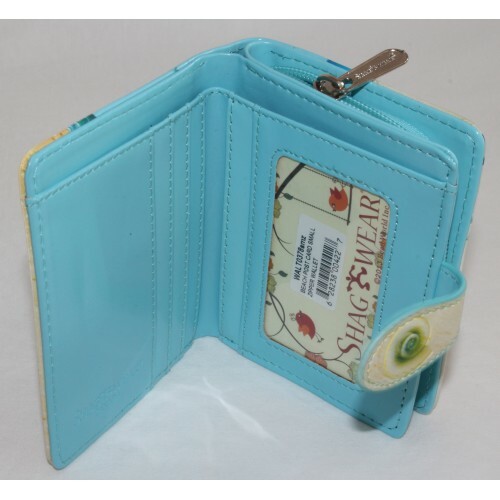 Made from animal friendly materials. 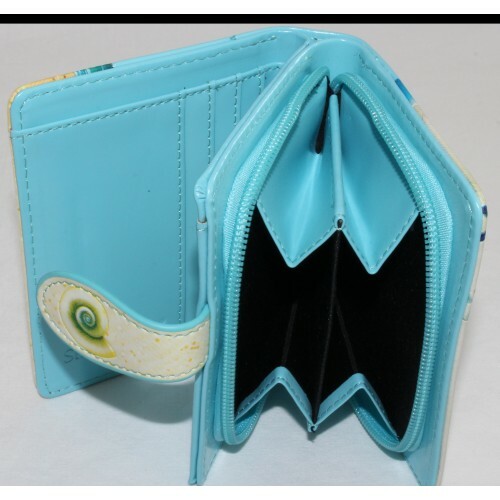 3 slots for cards and full length open pocket for notes.